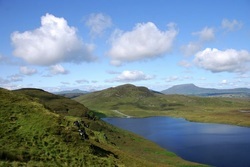 Donegal is a very beautiful county and so there are many scenic places to visit. The list below of course is not conclusive and so will be added to as we take more photographs over time. Just click on the place you wish to view or read about.